In this episode, I talk to corporate magician and mind reader Kevin Viner. We talk about his career in magic and numerous other topics including some insight into his internet marketing strategy. 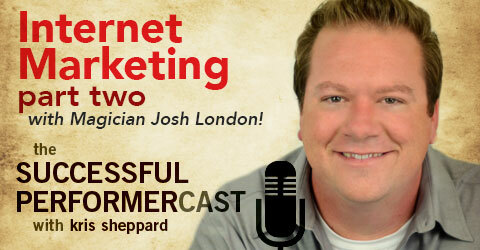 He gives some great practical advice that we can plug into our own marketing efforts! Seriously, this episode is packed! Kevin Viner is a corporate magician and mentalist. Starting young, he learned his craft and by the tender age of 14 started performing at the world famous Magic Castle. Within a year of that, Qualcomm hired him for his first corporate gig, but we’ll get to that in a moment. Kevin’s been recognized by his peers with numerous awards including First Place at the Las Vegas World Magic Seminar, he received a Comedy award from International Brotherhood of Magicians, and was awarded 1st Place at the Magic Castle Strolling Magic Olympics. He’s appeared numerous times on television on the program Masters of Illusion, on Johnny Carson’s American Masters Biopic, and on Japan’s SuperDrama TV. 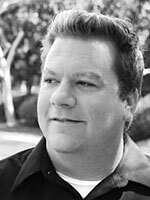 When it comes to corporate engagements, Kevin boasts 90% of his work coming from corporate presentations and trade show work for clients like Conoco Phillips, GE, IBM, Johnson & Johnson, PBS, SONY, Walt Disney, and Warner Bros. Just to name a few. And as if he’s not busy enough, in his spare time, he’s also a singer/songwriter composing for both piano and guitar, and somehow found time to train for and run his first marathon last year. Josh is magician that runs the gamut from corporate and high end clients to kid shows. Along his journey in show business, he’s also become an expert in Pay Per Click Marketing. 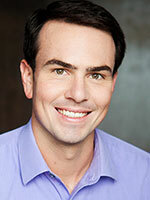 Josh goes into great detail in the show and talks about his strategy for Google AdWords or Pay Per Click. You won’t want to miss this!